Are you raising children right now? Do you have a large estate that you manage? Are there assets that you own, such as a home or a vehicle? Do you have specific things you want to have happen to you should a life threatening emergency happen to you? If your answer to any of these questions is “Yes!” then you have a need for living wills. With a FREE, no obligation consultation with a local Clarksville attorney who specializes in this area of law, you can get an idea of what your specific needs might be. Wills are often one of those legal tasks that many people keep putting off. It’s not that people think that they’re indestructible. It’s simply a difficult subject to discuss because it forces a person’s mortality in front of them and forces someone to discuss outcomes that they wish to have happen after they pass away. 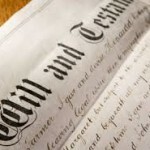 require the transfer of your assets to your intended heirs. 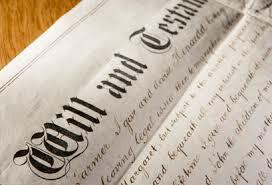 Without wills in place, it is very possible that your loved ones may need to go to probate in order to enforce your needs. In terms of health care, the lack of a will may mean a medical procedure is performed that you may not want. It may also mean a doctor makes decisions for you instead of a trusted agent that you name. A Clarksville attorney can assist you with all of these tasks any many more so that your will is reflective of every desire you have. Do You Need To Have Wills Created Today? At Turner Law Offices, P.C., our experienced probate attorneys can draft your simple or complex will to make sure your estate is distributed per your wishes. No matter what your age may be right now, it is important to make sure there are wills in place to protect your interests and the future of your estate. No matter how big or small your estate may be, there are tremendous benefits your loved ones can realize with a will dictating your final wishes. Use these next few moments to take advantage of our free consultation with a Clarksville attorney who specializes in wills so that should something terrible happen, your final wishes can be instantly honored. Request Free Initial Consultation Online or call our office today to meet with one of our experienced probate attorneys.